While they’re always inconvenient, major remodeling projects can also become a real strain on your relationship if you let them. But there are ways to make sure you’re just gutting the kitchen, not your marriage. First, never assume your spouse knows what you expect the family room to look like or how big the deck should be without discussing it first. Talk about your expectations for the project, and your budget, thoroughly and often. 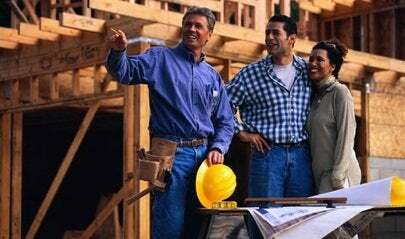 Even the healthiest relationships are challenged when a contractor comes into the house and a third person enters the territory. Avoid what we call triangulation by making decisions as a team and conveying them clearly to your contractor. Don’t feel you have to compromise on everything: if one of you chooses the paint color and the other chooses the light fixtures, you can avoid a lot of tension. If you still can’t agree or the project is beyond your skill set, don’t hesitate to hire a pro. An architect or interior designer can offer solutions you may not have thought of.